Following five years of study, and an intensive public education campaign, the Wilmette Board of Trustees voted on April 17, 2018 to pursue a stormwater improvement project to address flooding issues for residents who live west of Ridge Road. Ultimately, the majority of the Board of Trustees voted to proceed with Neighborhood Storage improvements at an estimated cost of $48-55 million. The Village’s goal is to be ready to commence work on the first neighborhood storage project at Community Playfield by summer 2020. In order to meet this goal, the Village issued a Request for Proposals and received responses from seven firms, several of which teamed together because of the size of the project. After careful review of the proposals, staff interviewed three firms. The team of Christopher B. Burke Engineering, Ltd. (CBBEL) and Baxter and Woodman was selected based on their relevant experience, knowledge of the system, comprehensive scope of work and competitive fee. CBBEL was the project manager during the initial hydraulic study. As its original developer, CBBEL has tremendous knowledge of Wilmette’s storm sewer model and provided an option in their proposal to expand flood relief to underserved neighborhoods. This will be reviewed in detail during the preliminary engineering phase. 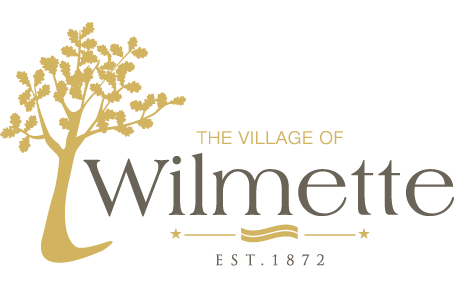 To gather community feedback, The Wilmette Park District will hold public meetings in two separate formats beginning March 11, 2019. For more information, please visit http://wilmettepark.org/village-stormwater-project. To learn more about the Stormwater Improvement Project go to www.wilmettestormwater.com.